Australian guitarist Stephen Taranto is a fast-rising star. 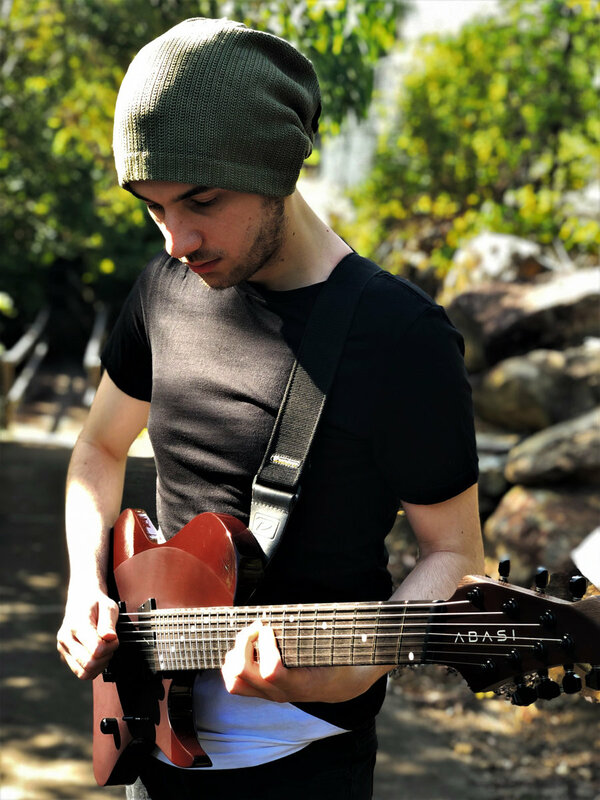 He turned heads with his highly technical and melodic guitar work in Sydney-based band The Helix Nebula, has over twenty thousand followers on his Instagram channel, and was recently selected by Abasi Concepts to be their first endorsed artist. 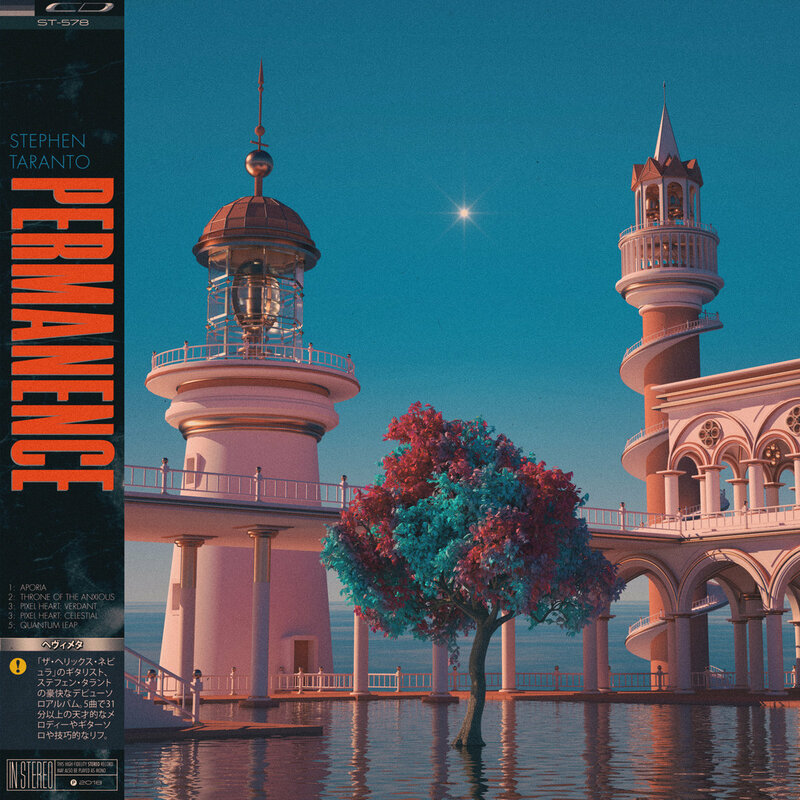 Stephen recently released his debut EP, Permanence, which has already received rave reviews from numerous outlets for its unique blend of styles and cinematic quality. Stephen agreed to answer a few questions about his personal history with music, his latest projects, and what’s in store for fans of Stephen Taranto. What initially drew you to the guitar? Who were some of your first guitar idols? I was introduced to guitar in a music class in year 8. I didn’t really gravitate towards playing the instrument more seriously until my uncle gave me my first electric guitar.After a few months of noodling on it, I was hooked. My first guitar idol was probably Eddie Van Halen. I couldn’t tell you how many times I put “Eruption” on repeat just trying to absorb what I was hearing. I then moved on to guys like Glenn Tipton, Marty Friedman, Yngwie Malmsteen and Joe Satriani just to name a few. Your press release mentioned video game music as being part of your inspiration. What are some of your favorite video games/video game soundtracks? Definitely! My favorite video game/soundtrack of all time is probably Paper Mario: The Thousand Year Door for the Gamecube. Other games (along with their OST’s) include the Metroid series, Legend of Zelda series, Final Fantasy series, Chrono Trigger, Persona 4 and 5, Metal Gear Solid series… this list can go on, haha. Describe your composition process. Does it vary from song to song? The way I compose songs is quite sporadic and it definitely varies from song to song. The hardest part for me (and many others i’m sure) is just starting a song and really settling on a tone color and mood for the whole piece. I always have my guitar on me when I go to write any ideas and if I come up with something that I can’t play yet then i’ll just chuck it into Guitar Pro and/or Cubase ! Your debut EP, Permanence, features Simon Grove on bass/synths/programming. Tell us about his contributions to the record. Simon had the arduous task of Mixing, Mastering and performing Bass on the whole record. We’ve worked extensively together in the past when doing the Helix Nebula EP Meridian, so I couldn’t think of a better person to get on my EP! He really is incredible at what he does and he made “Permanence” sound 10 times better than I could ever have imagined it would sound. There is a cinematic, narrative quality to your music. When you write, are you trying to tell a specific story, or is it more abstract? I’m a big fan of songs that continuously progress forward and kind of take you on a figurative journey, so yes I do tend to write with a pseudo-narrative in mind. I still like to keep a level of immersion to the songs. So for instance, if the song is fairly long, then i’ll re-introduce a melody or motif from earlier in the song to keep that level of cohesion from start to finish. I find that I come up with a more complete narrative in my head AFTER completion. Instrumental music in this genre is quite interpretative from listener to listener, which is really awesome. Tell us about The Helix Nebula! Yes, we’re still alive!! We have an album in the works that is for the most part completely written, but we just need to tweak it and add finishing touches to it. Synths, bass, leads, drums etc.,We’re REALLY hoping to have it out this year and I cannot wait for people to hear it! I’m more than confident that it will be more than worth the wait. You were recently endorsed by Abasi Concepts. Tell us what is in the works there! I was blown away when I found out that Abasi Concepts were interested in working with me and chose me as their first endorsed artist! They make exceptionally good products and I’m excited to be able to work with them. Right now i’ll continue to use my newly acquired Larada 7 string guitar, which is the best guitar I’ve ever owned. What are some tips you would give to guitarists/composers? It’s OK to take breaks! Really take your time when composing and practicing to really iron out those kinks you may be running in to. Listen to many styles of music to strengthen your musical palette which will be vital to keep your compositions fresh and inspired. What are your plans for the future? Any live performances of your solo music in the works? I definitely plan to play some live shows in the future! My main focus now is to keep up the videos and work on more music for now. If you could form a supergroup to play with (lineup could be anyone, dead or alive), who would be in your band? Allan Holdsworth (Rest in Peace) on Guitar, Tomas Haake on drums, Dan Briggs on Bass, Jordan Rudess on Keys. That would be interesting, haha. What might be the most surprising thing on your playlist? I have a soft spot for some of The Weeknd’s earlier mixtapes. I’ve also been listening to a bunch of Kamasi Washington, 6LACK, Joey Bada$$ and Anomalie. Check out Stephen’s awesome new EP, Permanence, here, as well as his band, The Helix Nebula, here. Follow him on Facebook and Instagram as well! Tags: abasi concepts, permanence, stephen taranto, the helix nebula. Bookmark the permalink. I particularly liked Stephen’s comment about the composition process: “… if I come up with something that I can’t play yet then i’ll just chuck it into Guitar Pro and/or Cubase !”. Can’t imagine Bach or Mozart working like that! !